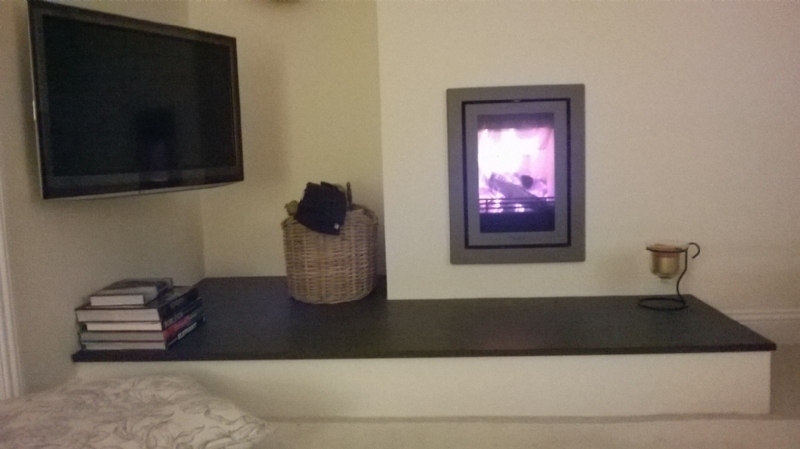 A fire in a busy corner wood burning stove installation from Kernow Fires. 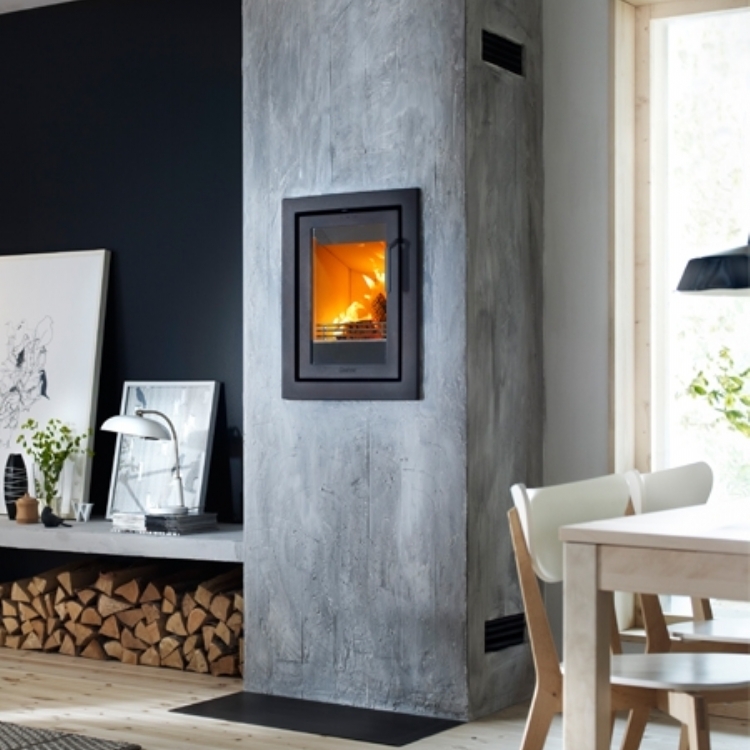 This busy corner had a lot going on in it however with a bit of clever planning and design the hearth draws the whole area together and create an clean and unique area. 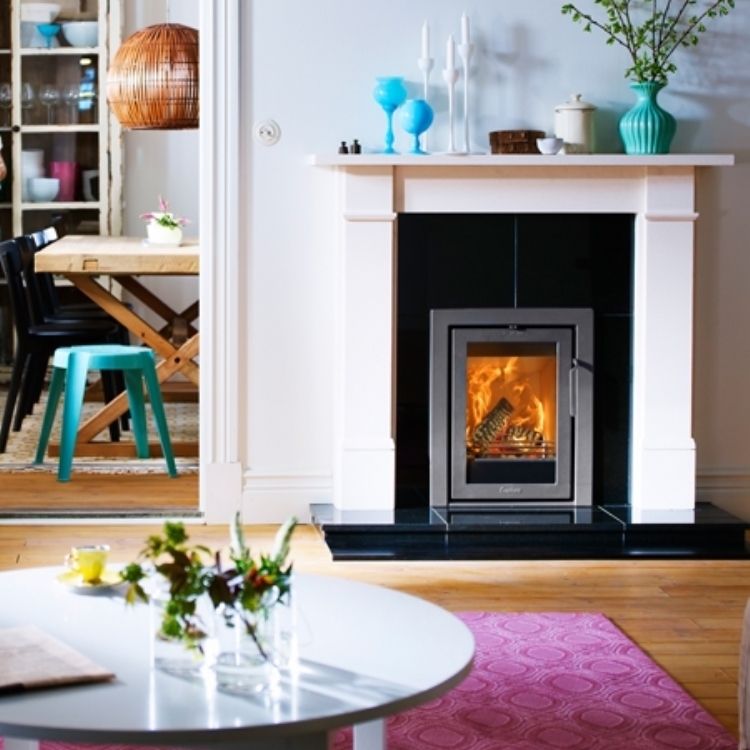 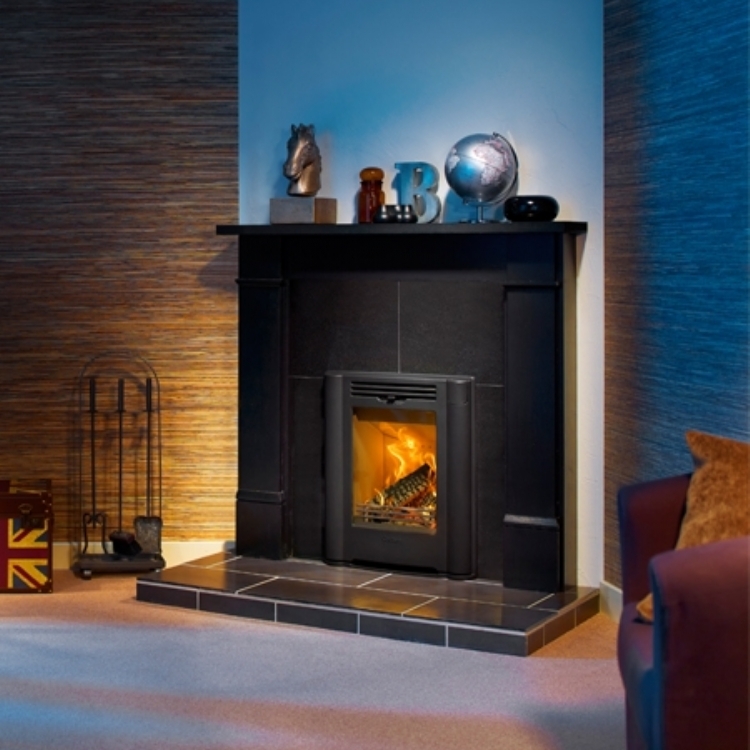 The Contura 4kW is a compact wood burner which was fitted to a new flex liner in the existing chimney.